Anna Zworykina Perfumes: the quality of the first perfumes ever produced. 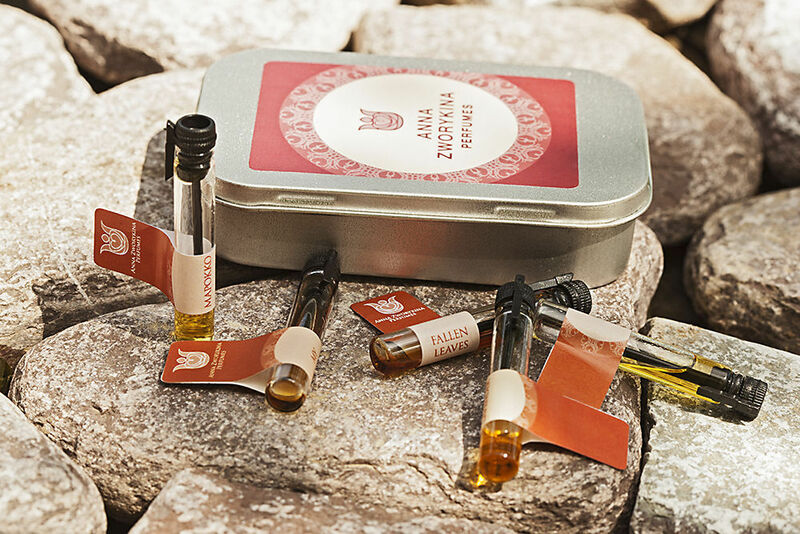 I ordered four samples from Anna Zworykina Perfumes. I have sampled two so far — Second Skin and Cuir de Russie — and based on my experience with these two, I believe I have found perfume heaven. I want them all. Full bottles. Life-time supply. I imagine that this was the quality of the first perfumes ever produced. The quality that vintage perfume chasers are forever seeking but never quite able to achieve due to the nature of scent. The quality that new brands could never hope to come close to achieving and frankly, don’t bother to. The naturalness of each note is incomparable and worth every cent. About Second Skin: it is a musky oriental (?) balanced by heady florals (tuberose and Jasmine- but not too much!) crisp geranium, and spices in a perfectly balanced smoky medley. Patchouli and cedar play dominant roles in this perfume as time passes. I put a question mark next to my category ‘Oriental’ because I looked to see how Fragrantica categorized this scent and saw «Leather.» The sum of the parts is leathery, but I do not smell a separate leather note. Sillage is about 5 » inches from the skin. I was so excited about this perfume that I started my review one hour into wearing it, so I’ll return at the end of the day to edit my review to include longevity. ароматы можно купить на Ярмарке Мастеров и на etsy. Доставка почтой в любые города и страны. Оффлайн мои духи в Москве можно продегустировать в Osmodeus perfume shop!